Producers of plantain, palmito, and pineapple from the Tropic of Cochabamba are worried due to the closing of markets and the fall in their production. The general coordinator of the Agricultural Chamber of Cochabamba (CAC), Rolando Morales, said that the closure of markets in Argentina had affected palm and pineapple producers the most, while the decrease in demand for bananas, which fell from 40 trucks to 4 trucks per week, had affected banana producers. Morales said that, up to last year, they exported 6.4 million boxes of bananas a year, and that Argentina was their main market; currently, that currently has dropped to less than half. 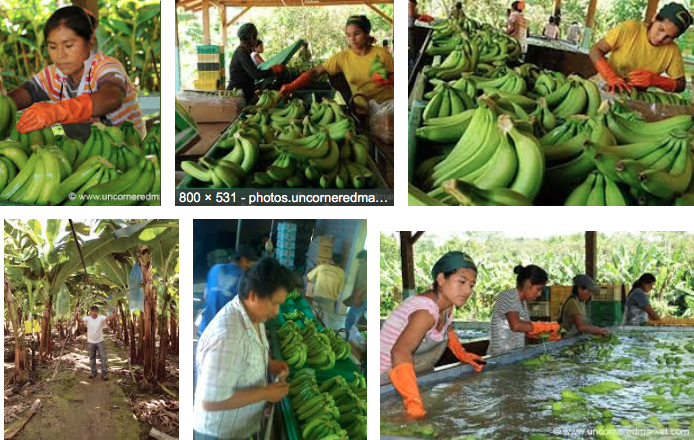 The general manager of the Chamber of Exporters of Cochabamba (Cadexco), Víctor Hugo Villarroel, said exporters and the banana sector said there had been a fall in terms of supply, due to the season’s conditions. Regarding pineapple exports, the representative of the producers of palmettos from the Tropics, who also produces this fruit, said that production for export was stopped because the economic crisis in Argentina was unsustainable and that now they were only supplying the domestic market. “The pineapple was exported in small quantities. The idea was to consolidate the foreign market,” he said. This entry was posted in Bolivia, Business, Cochabamba, Drug war - narcotraffick and tagged export market, government failures. Bookmark the permalink.